Bruised ribs are usually caused by a blow to the chest. This type of injury is especially possible for any any athlete, such as football players. Bruised ribs are normally extremely painful and could cause you to feel as if you can’t breathe. Since your ribs cannot be stabilized, the healing process typically takes a long time. If bruised ribs are the suspected culprit, visit FastMed Urgent Care as soon as possible. With the right treatment recommended by a physician, you could potentially shorten the healing time and decrease pain. Is it painful to touch the injured area? Do you feel extreme pain when taking a deep breath? Are you experiencing shortness of breath? Does your pain get worse when you move? Are you experiencing a sharp constant pain on the affected rib? Is there a visible bruise at the site of injury? Are you having difficulty in sleeping on the side of injury? 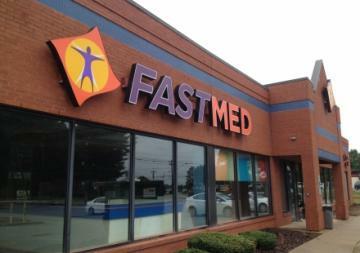 Visit a FastMed Urgent Care location near you. Our medical professionals will be able to determine whether your symptoms are due to bruised ribs or something else. Exercise lightly. If your physician says it is okay, light exercise can aid the recovery process and help you breathe easier. Eat healthy and take vitamins. Proper nutrition can decrease your healing time and strengthen your bones. Return to sports per your physician’s orders. You may be tempted to play through the pain and immediately return to the sport. It is important to wait until your doctor clears you to play, so you can avoid causing any other damage to your ribs. Sports injuries don’t just happen during doctor’s office hours. If you or your child is injured while playing a sport, you often have to wait until the next day to be seen by your doctor. FastMed Urgent Care is open extended hours, so you can be seen for any sports-related injury as soon as it happens.